I wonder at the idea that if they show that Martin Luther is so bad, they will then become Catholic. This is certainly a negative tactic that suggests that those pursuing this agenda really have no better arguments for Catholicism than that Luther was bad, so therefore Lutherans should become Catholic. I find this extremely unconvincing. Isn't there anything good in Catholicism? 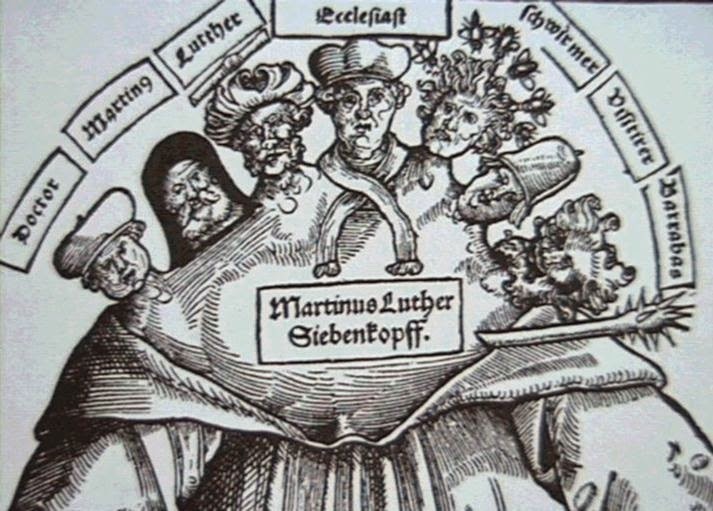 Did these Luther-bashers really become Catholic because they took a dislike to Luther? That is like preferring God to Satan because you don't like Satan - never mind what God is like. Faint praise, there. I've had this post in draft since Sept. 14. By September 16 the thread was shut down for "lack of charity."